A seminal crossover epic crossover series. For several decades DC Comics had done crossover stories between the various worlds it owned, starting with Earth-One (Silver Age/mid-1950s on DC stories) and Earth-Two (Golden Age/mid-1950s and earlier DC stories). Over the years these crossovers had expanded to involve additional alternate realities, such as Earth-X (a world where the characters DC had bought from Quality Comics were based) and Earth-S (the Fawcett Comics universe, now owned by DC). 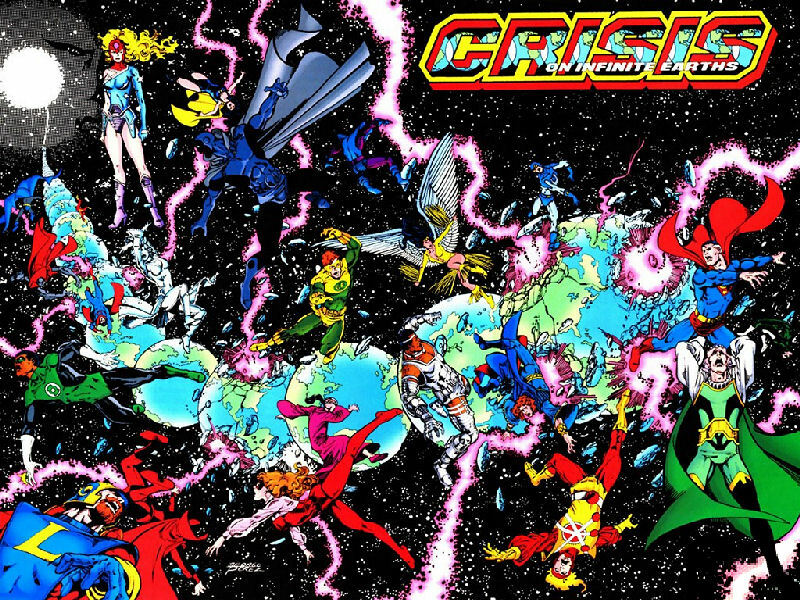 But in the mid-1980s a decision was made to consolidate all these fictional realities into one single one, and the 12 issue maxi-series Crisis on Infinite Earths was born. As well as all the previously seen DC realities, the Crisis brought in the recently purchased Earth-Four, the Charlton Earth.